Pvt. LaVan E. Crook, son of Mr. and Mrs. W. C. Crook, graduated from Chattanooga High School; husband of the former Loreen McManus. 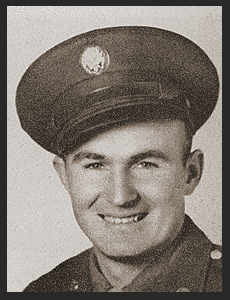 Entered Army in 1943, trained in Camp Fannin, Texas, Ft. Ord, Cal. ; went overseas in April, 1944; served in Australia, New Caledonia, New Guinea and Bougainville, where he was wounded in action. Awarded Good Conduct Medal, Asiatic Pacific Ribbon with one Battle Star.